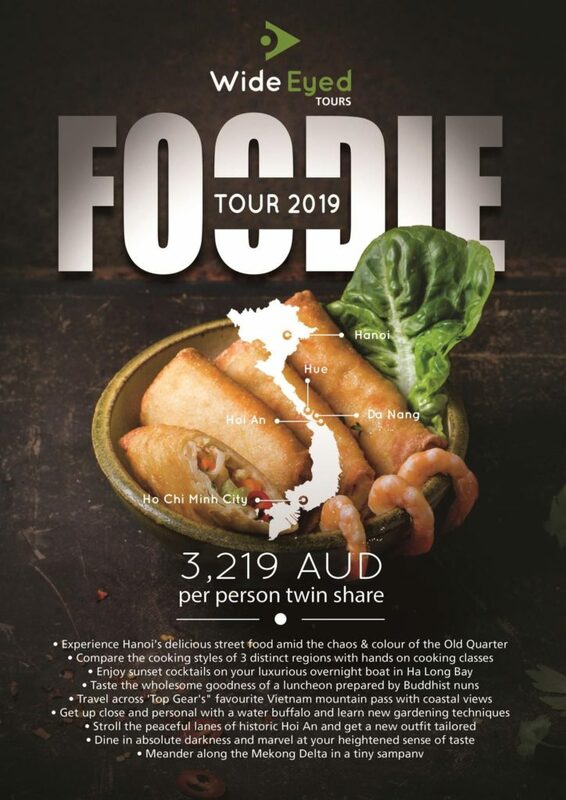 Wide Eyed Tours – Foodie Tour 2019. Golfing ideas with Wide Eyed Tours. Australian Travel Industry News Services. Your Representative to the Australian Travel Industry. “You don’t have to go looking for great food in Vietnam. Great food finds you. It’s everywhere. It’s a country filled with proud cooks – and passionate eaters”. 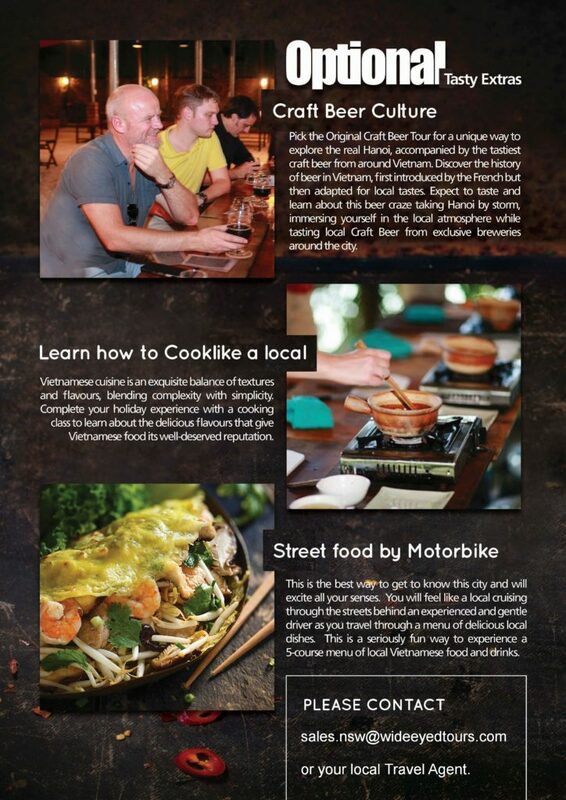 Get your clients taste buds tingling with this culinary adventure through Vietnam. 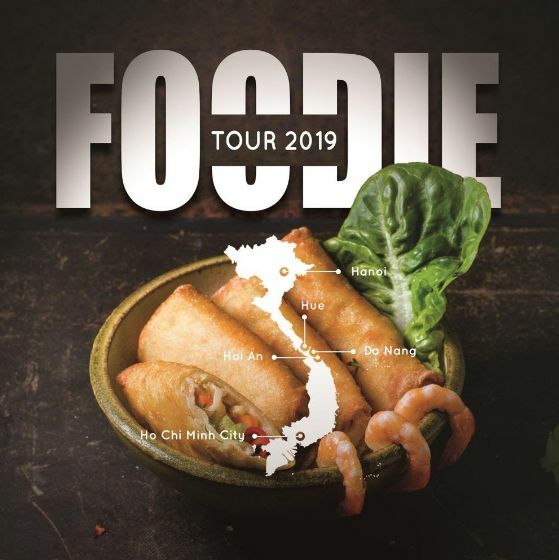 Northern flavours eaten on a street corner, cooking classes on the banks of the perfume river in Central Vietnam and dining in the dark in Saigon, this is one of the most delectable adventures we have been craving to put together. In between the culinary excitement your clients can enjoy visits to fascinating historical monuments, kayaking in the dramatic Ha Long Bay, take part in thrilling rides on motor scooters, relax on boat trips down rivers and canals and much much more! Private tour for 2 people twin share – 3 & 4 star boutique hotels. Click here for a downloadable copy. Enter what you are looking for on our site. Copyright © 2019 With You in Travel Marketing. All Rights Reserved.